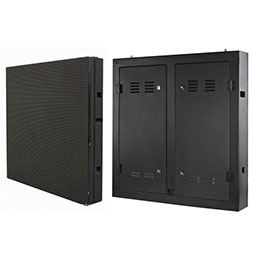 Outdoor advertising LED screen to solve the rainy season of moisture, and high-temperature environment to maintain good heat, can make outdoor LED display efficient and stable operation, LED display internal devices belong to MSD components (humidity-sensitive devices), once the moisture enters may cause the lamp bead, PCB board, power supply, power line oxidation corrosion, Which leads to a dead light failure. 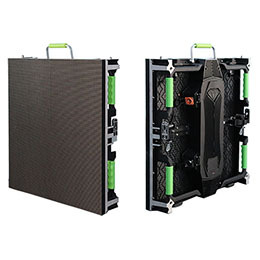 Therefore, the LED screen module, internal structure and box need to do a comprehensive and rigorous moistureproof, waterproof design. 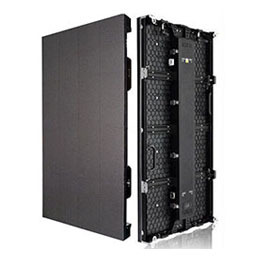 At the same time, LED screen internal devices are also the most heat of electronic components, such as LED lamp beads, drive IC, switching power supply. Poor heat dissipation design will cause the screen body material oxidation, affect the quality and life. If the heat is concentrated and cannot disperse, will cause the LED internal device overheating and to damage, causing trouble. Therefore, a good heat dissipation requirements of permeability, convection structure, this will be with the requirements of moisture-proof contradictions. Enter the hot and humid weather, the face of moisture and heat dissipation, seemingly irreconcilable contradictions, can actually be skillfully resolved through superb hardware and elaborate structural design. Firstly, reducing power consumption and reducing heat loss are effective ways to improve the heat dissipation ability.top LED screen manufacture will choose from the source of high-quality LED chip optimization design, focus on efficient, high-quality drive power independent development, outstanding raw material quality and excellent performance parameters for cooling, moisture-proof laid a firm foundation. Moreover, the improvement of modular production process is also the most important. It is understood that the PCB board electronic components for structural optimization, to simplify, reasonable arrangement, and the use of high thermal conductivity coefficient of material potting seal, at the same time to meet the water vapor seamless and components of the cooling needs. Finally, the rational optimization of box structure can play a key role. In the box material to consider the heat dissipation and anti-oxidation of the choice of high-quality aluminum, box inside the use of multi-layer space structure, the formation of the overall permeability of the heat dissipation structure, it can make full use of natural air convection cooling, both the heat dissipation and sealing, but also improve the reliability and service life. Virtual pixel technology. The resolution is able to increase 4 times with the same amount of LEDs. New low voltage constant current driving IC saves over 30% energy. Your investment will be earned back in one or two year. Save the environment and your wallet. Supporting remote wireless and 3G/4G control management, one monitor center is able to control several LED Displays by computer. With modular cabinet design we support several pixel densities. This makes the installation process easier. The thinner and lighter cabinet decreased the delivery and installation cost effectively. With an operating temperature between -30C and 60C, our LED displays can be installed in any environment. They are able to operate near the sea where the temperatures can change rapidly and the air is humid and salt. Perfect Quality and Long-Time Stability. High brightness enables longer viewing distance and ensures that even the spectators far away from the screen can still enjoy it. Even under direct sunlight.Suitable for placing on high buildings.Outdoor H Series can change the brightness automatically by using our multi-function card.